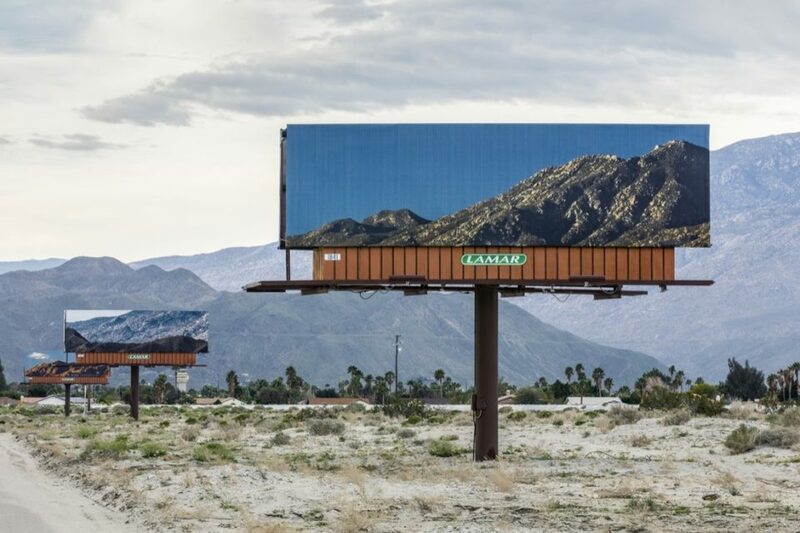 For just a split-second as you zoom by in your vehicle, you’ll catch the perfect alignment of 2D imagery on a billboard and the real, three-dimensional mountains in the background, eliminating advertising to refocus your attention on what’s really important. 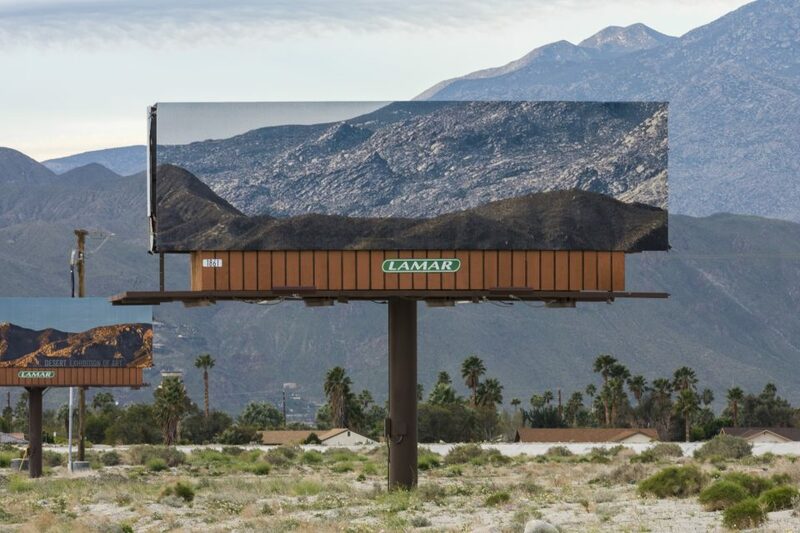 Set along Gene Autry Trail in California as part of Desert X, an outdoor exhibition of site-specific art installed across the Coachella Valley, the billboard series by Jennifer Bolande demonstrates an unusual form of camouflage. The installation is particularly effective for the close placement of the billboards, which are glimpsed in quick succession. Real and artificial environments blend together in an illusion that’s particularly effective on a bright, sunny afternoon when the sky is at its bluest. 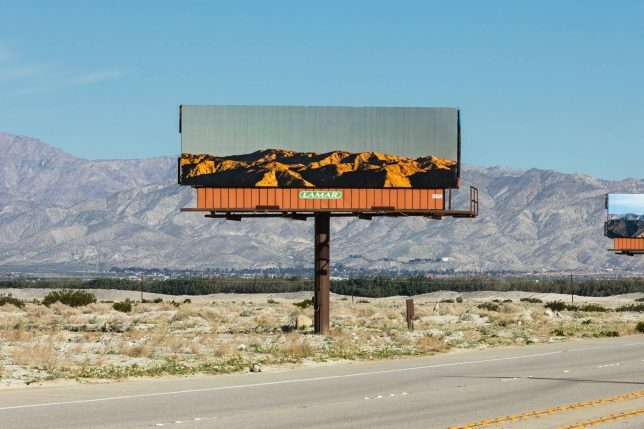 The work is specifically made to be experienced from a passing car, drawing inspiration from an old Burma Shave ad that used sequential placement to create a message that could only be read from a moving vehicle. 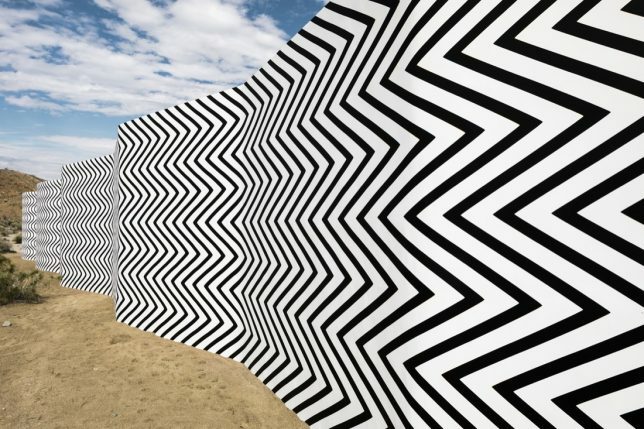 ‘Visible Distance/Second Sight’ is particularly effective in this desert environment, where most structures are low-lying and there are no towering trees. 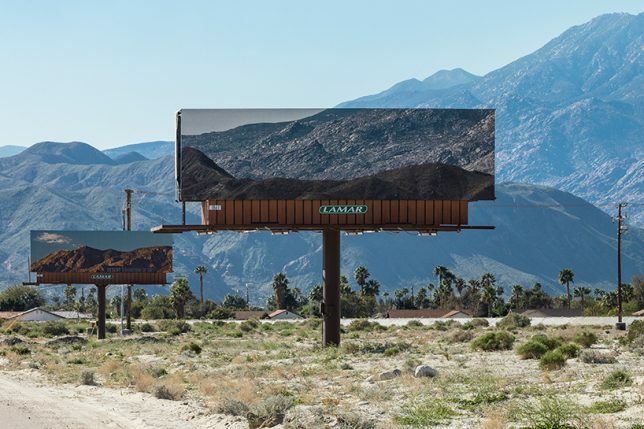 This setting ordinarily makes billboards pop out from the landscape even more than they would in a city. 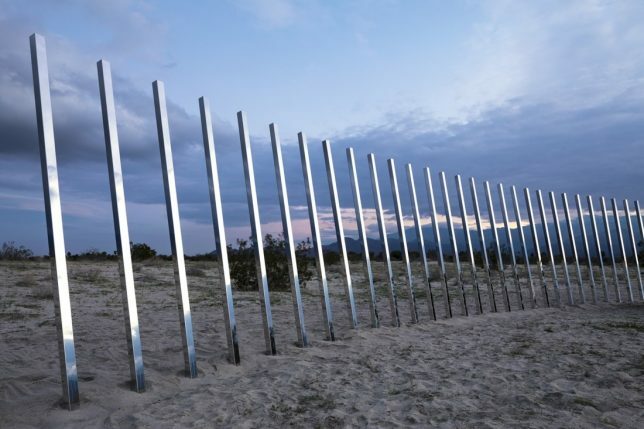 Other striking installations in the Desert X series include ‘The Circle of Land and Sky’ by Phillip K. Smith III, a composition of 300 geometric reflectors angled at 10 degrees to engage with the surrounding Sonoran Desert, and ‘Curves and Zigzags’ by Claudia Comte, a series of scuptural freestanding walls.